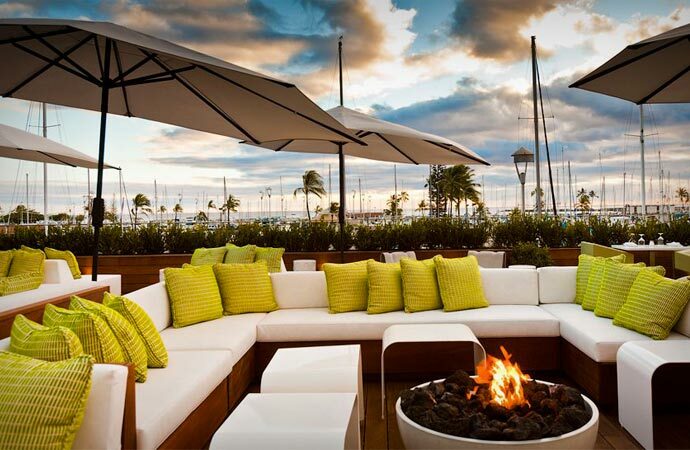 One of the most beautiful hotels in Honolulu, Hawaii is right this one – The Modern Honolulu. Pretty different from other luxury hotels in this region, but still perfectly elegant and sophisticated, The Modern Honolulu’s minimalistic design, excellent location and great features will take your breath away. 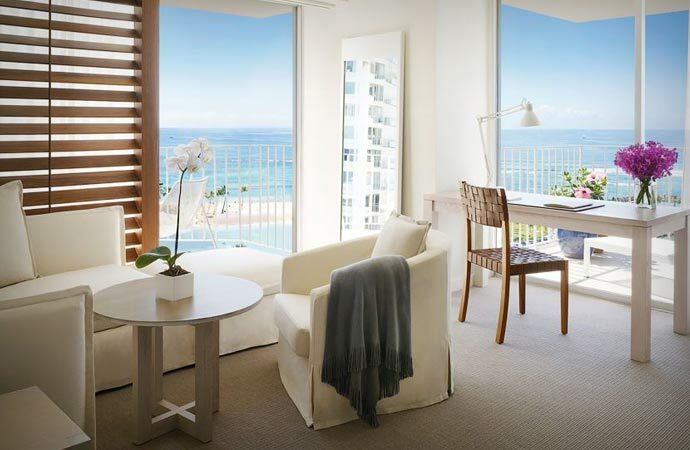 The accommodation at The Modern Honolulu consists of 353 rooms with 31 suites included, in following categories: City Scape Rooms, City View Rooms, Ocean View Rooms, Partial Ocean View Rooms, Ocean View and Ocean Front Suites, ADA-accessible rooms, Ocean Front Suites, Studio Suites, ADA-accessible suites and the most luxurious one – the Penthouse Suite. Slightly different from one another, yet all of them are equipped with pillows and down comforters, customized linens by Frette, custom designed furniture, teak sliding windows, oversized glass-enclosed showers and tubs, LCD TVs, cable access, CD and DVD library, free high speed Wi-Fi internet access, iPods and iPads (available upon request), safes, coffee and tea making devices, newspapers, slippers and 24-hour room service. 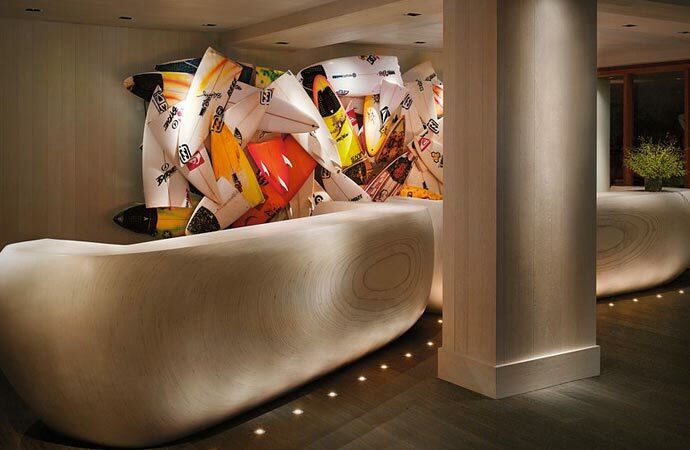 The part of this resort that stands out is the Penthouse Suite that is surely something worth mentioning in detail. 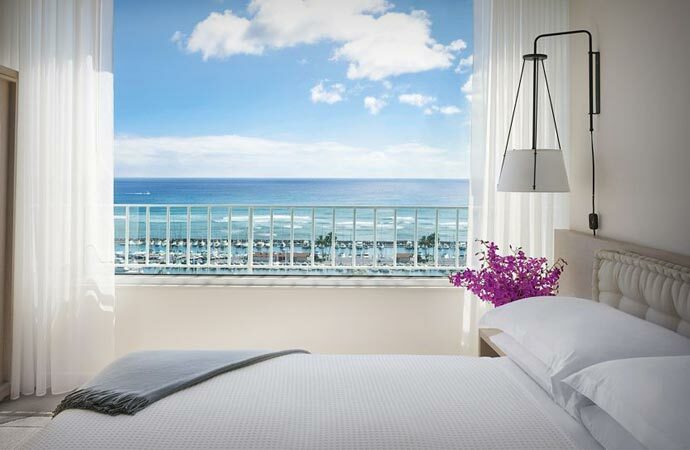 Spreading over the area of 1,400 square feet with the 1,500-square-foot landscaped terrace, through the floor-to-ceiling windows, this accommodation will provide you with views of the Pacific Ocean and Waikiki skyline you will never forget. Within the resort there are two astonishing pools – Sunrise and Sunset Pool. 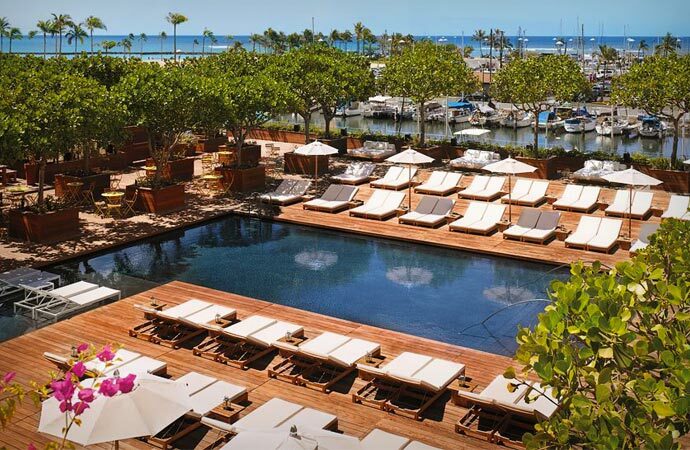 Tucked into a tropical garden and facing the marina, the Sunrise Pool is a great place to enjoy hot Hawaiian days, while the Sunset Pool is available only for the adults and located on the sandy beach in its own lagoon with the cocktail bar nearby. 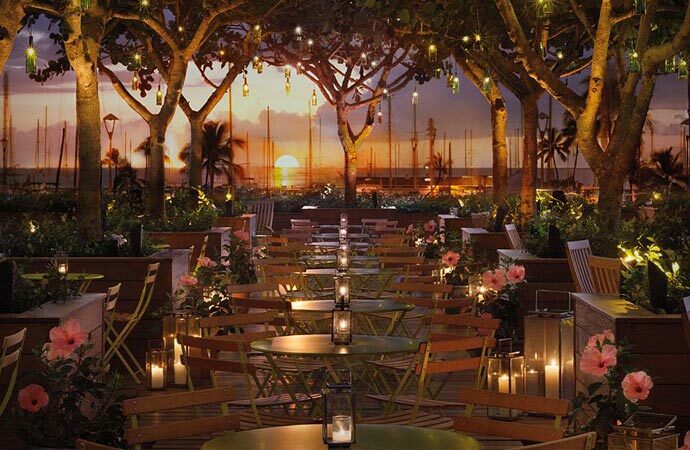 The Morimoto Waikiki Restaurant serves high-quality specialties prepared by renowned Iron chef, Masaharu Morimoto. 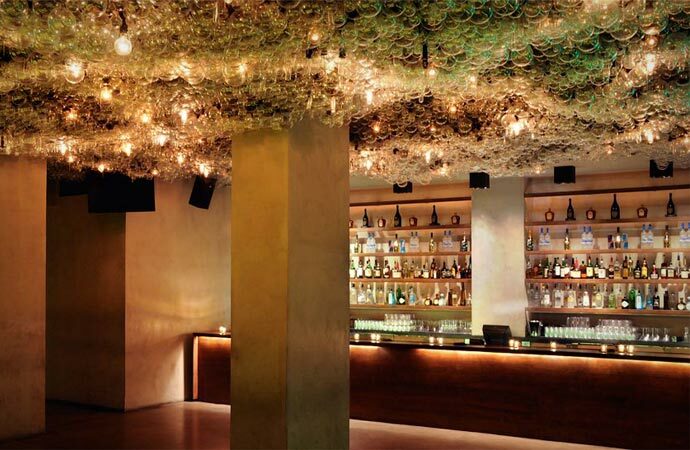 Together with the hotel’s Bar, this restaurant will fully satisfy your hedonistic needs.